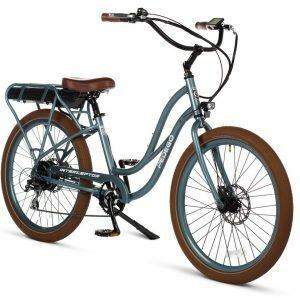 An electric bicycle is an investment and you want to make sure you keep it safe and secure. In this article we discuss three issues related to electric bike security, namely how to transport them safely using a bike rack on your automobile, how to lock them properly and how to insure them. What is the maximum value that the electric bike is insured for? What is the deductible on your ebike? Will your electric bike value depreciate each year? If so by how much? If your home owner insurance company doesn’t provide coverage or you feel its plan is too costly, look into other options via an insurance broker. You get what you pay for with bike locks so be sure to spend a bit more to protect your investment. In our article entitled “Funniest Bike Racks in North America” we set aside a serious section to discuss how best to lock your bike when you’re out riding and need to leave it for a short period of time. In the story we touch on five key issues to remember about locking your bike and then stress that simply removing the ignition key and/or battery is not enough to deter thieves. This is because even without a battery your bicycle can still be pedalled away. We recommend you treat your ebike just like a bicycle and lock it to a rack with a strong U-lock and cable lock. If you’re leaving it in a risky area, consider taking your battery along. The reason we here at Pedego Canada use both a cable lock and U-lock is because the cable can be strung through the wheels ensuring thieves don’t steal those. The U-lock is then used to connect the cable and the bike frame to the rack. 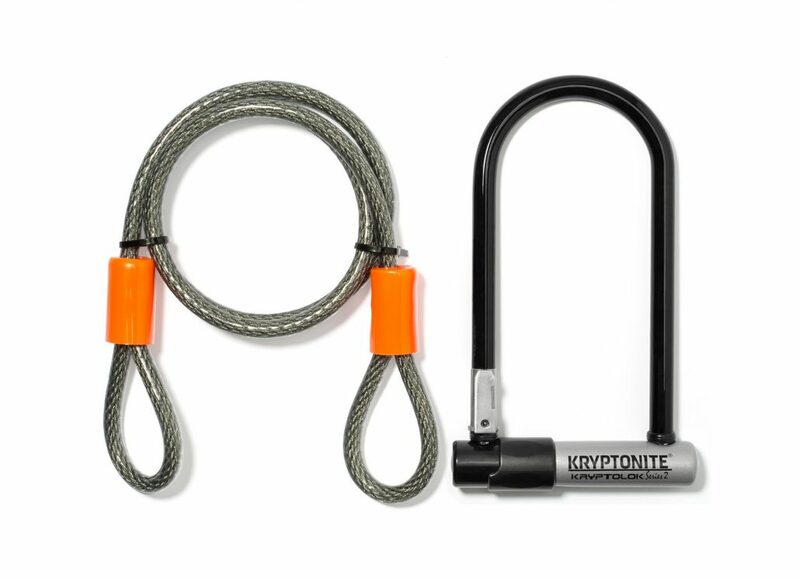 In the world of locks, you get what you pay for so consider investing in a good U-lock, such as a Kryponite, to secure your ebike investment. Finally, let’s look at vehicle bike racks that are suitable for electric bicycles. 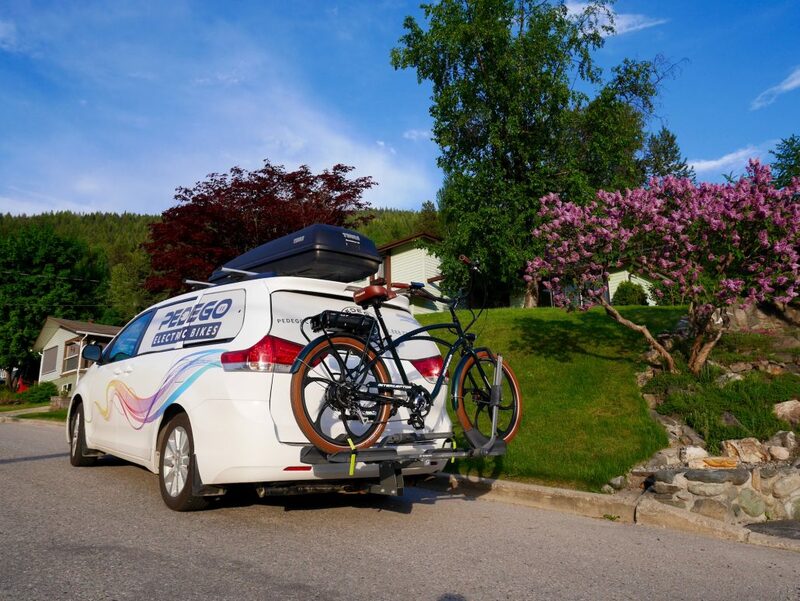 Because ebikes can be heavier than regular bikes, roof-top racks aren’t an option, nor are the trunk-mounted models nor the hitch-mounted ones that leave your bike hanging from the bars. Instead, we recommend the hitch-mounted platform models that seat your wheels in trays and have adjustable lever arms to secure the bike. 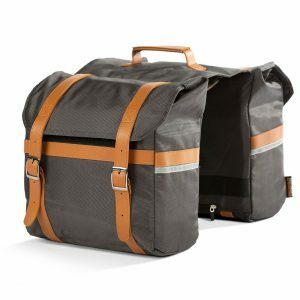 Our favourite is the Escapee made by Swagman, which is a company based in Penticton, British Columbia. They’re robust, can easily carry two 50+ pound ebikes and are RV rated. 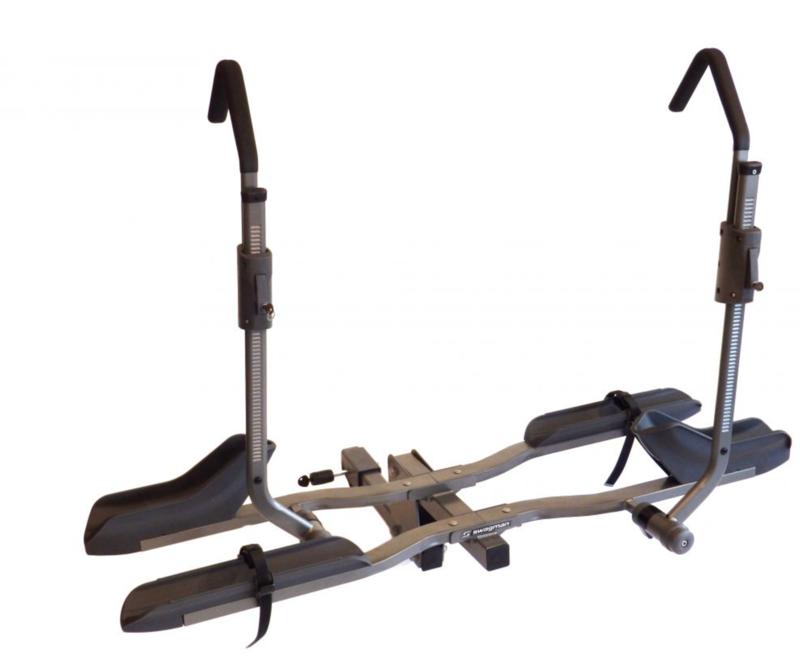 Also, the Escapee, with its wheel clamp system, works really well with low step-thru bikes such as the Boomerang, which can be challenging on other types of racks. The other thing we like about the Swagman hitch-mounted platform racks is they’re not situated too high off the ground so it’s easy to lift the front end and then the rear end of the electric bike to get it into the platforms. Whatever model of bike rack you buy, make sure it’s strong and can accommodate the weight of your electric bikes. As always, if you have any questions are comments regarding this article, please leave us a note below or email us at info@pedegocanada.ca.